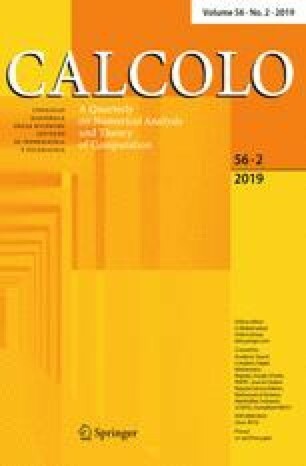 This work concerns the analysis of a discontinuous Galerkin finite element approximation of a degenerate Cahn–Hilliard equation with single-well potential of the Lennard-Jones type. This equation is widely used for the diffuse interface modeling of solid tumors. A finite element discretization with discontinuous elements of the problem is developed, where the positivity of the solution, which is not straightforwardly guaranteed at the discrete level, is enforced through a variational inequality. The well posedness of the formulation is shown, together with the convergence to the weak solution. This discretization properly selects the solutions with a moving support with finite velocity, discarding the unphysical solutions with fixed support. The simulation results in two space dimensions are reported to test the validity of the proposed algorithm. Similar results as the ones obtained in standard phase ordering dynamics are found, highlighting the evolution of single domains to steady state with constant curvature. Imposing known solutions, good convergence properties of the discrete solution to the continuous one are observed using a proper norm calculated on its support. Contrarily to the discretizations with continuous elements, the use of discontinuous elements aims at recovering the optimal convergence rate found in literature for the finite element approximations of the Cahn–Hilliard equation with constant mobility. It is also useful when dealing with the dynamics of domains with corners, with highly heterogeneous materials and in presence of advective terms. The author acknowledges P. Ciarletta, M. Grasselli, M. Verani and P. F. Antonietti for some useful discussions. The author is a member of GNFM of the Istituto Nazionale di Alta Matematica (INdAM).